This post contains affiliate links. For more info, see my disclosure policy here. This Italian Pasta Salad is easy and delicious. 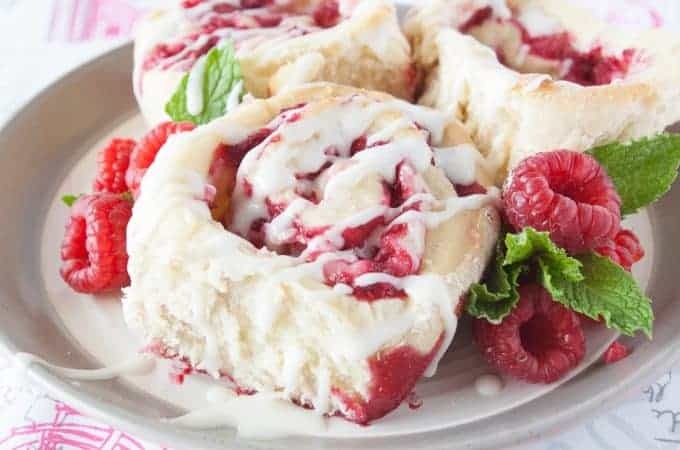 Perfect for potlucks, barbecues and family gatherings! 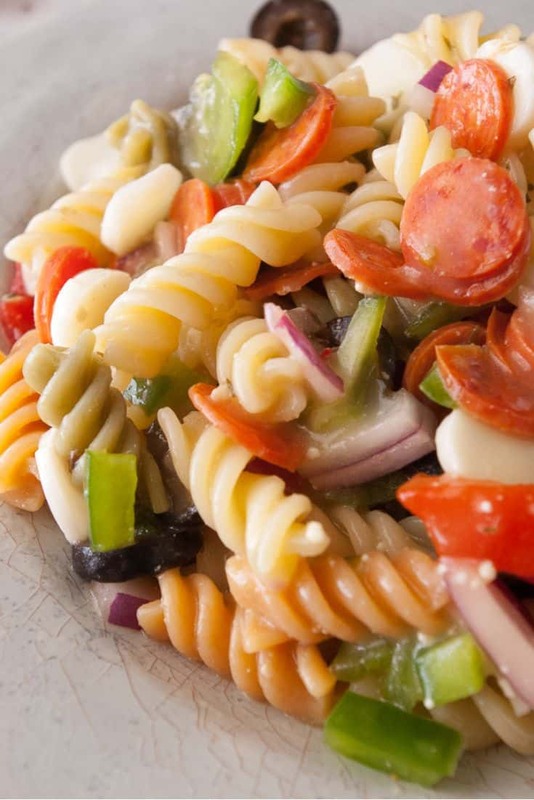 You’ll make this pasta salad again and again! 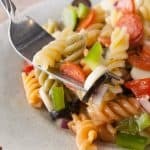 I thought that this Italian Pasta Salad was a pretty common pasta salad, but the last couple times I made this people were unfamiliar with it. This isn’t an original recipe by any means, but I thought I’d share the way I make it. This is one of those great pasta salads that you can add or leave out what you want and it will still taste great. 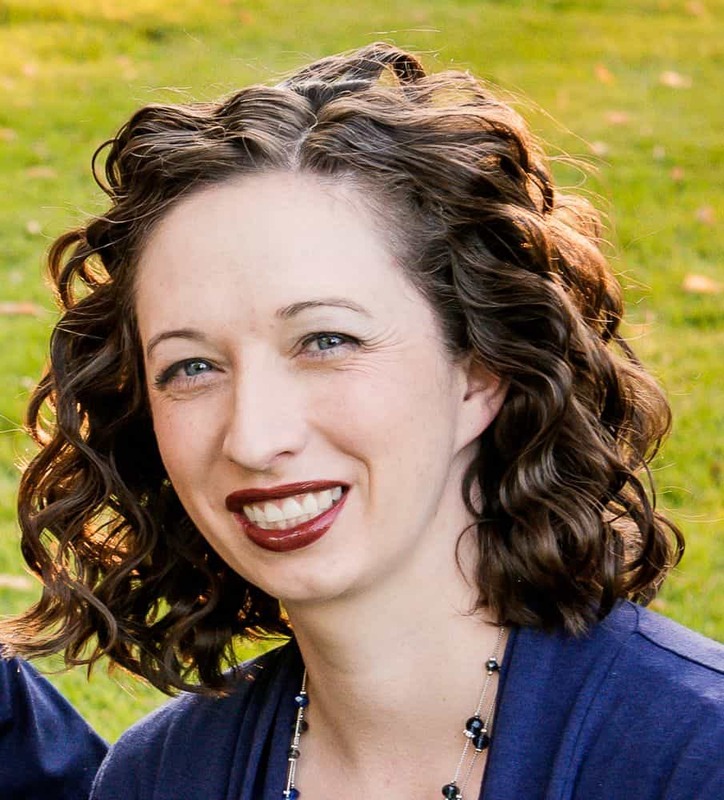 It takes very little time to prepare and is easy to make a larger or a smaller amount depending on what you need. Plus, check out how beautifully colorful it is!!! Here is everything except the garden rotini that I put in this pasta salad. Red onion, green bell peppers, sliced olives, roasted red peppers, mozzarella cheese, mini pepperoni and Olive Garden Italian dressing. You can use any Italian dressing, but I cannot recommend using the Olive Garden Italian Dressing enough. It is just so much better than any others that I’ve used. Chop up and prepare these ingredients. The measurements of them do not have to be exact. Cook the garden rotini according to the package directions, drain and rinse until cold water until the pasta is completely cool. This stops the cooking process. Toss the pasta and other ingredients together in a large mixing bowl. Pour about 2/3’s of the bottle of dressing over the pasta salad. Cover and place in the fridge. I like to make this salad a full day before we are going to eat it to allow plenty of time for the flavors to blend. I also, flip the bowl upside down, leave it for a couple hours and then flip it back right side up. I do this a few times occasionally whenever it’s convenient. I do this because the dressing will make its way to the bottom of the pasta salad and flipping the bowl over and back a few times evenly distributes the dressing. Just before serving this salad I pour the remaining Italian dressing in the bottle over the salad. Don’t forget to subscribe to get my newest recipes sent right to you email! Chop, slice and dice the ingredients while you bring a pot of water to a boil to cook your pasta. Cook the pasta according to the package instructions. Drain and rinse the pasta in cold water to stop the cooking process. 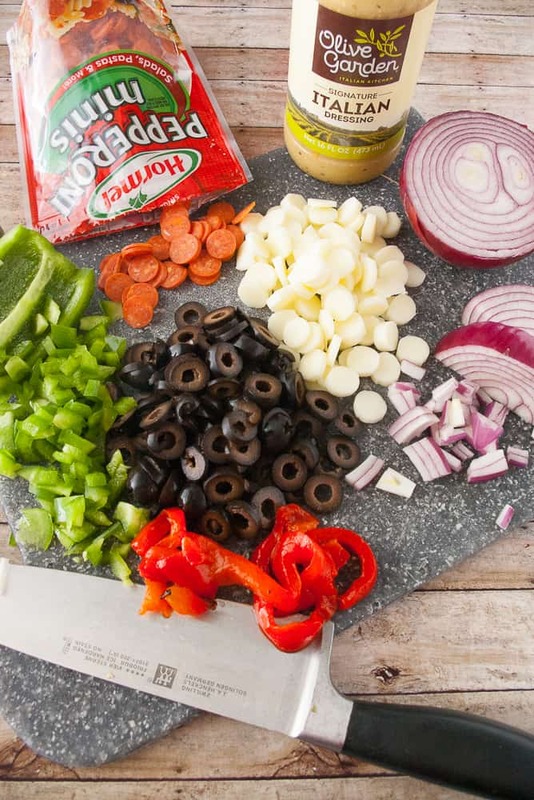 Put the cooked rotini, sliced olives, 1/2 the bag of pepperoni, mozzarella discs, and chopped green pepper, red onions and roasted red peppers in a large mixing bowl. Toss to mix. 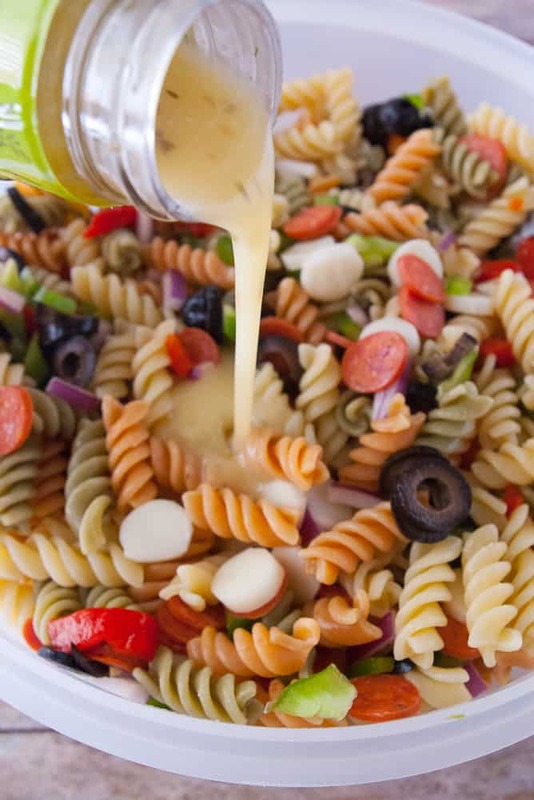 Pour about 2/3s of the Italian Dressing over the pasta salad. Toss to coat. 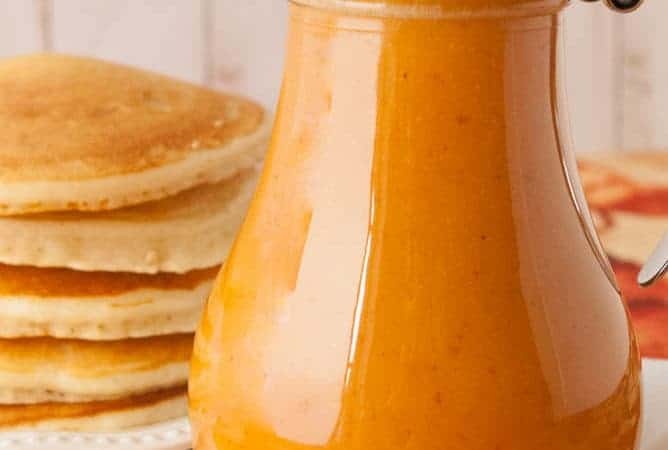 Cover and refrigerate a few hours or overnight to allow the flavors to blend. Before serving pour the remaining italian dressing over the pasta salad and mix well. 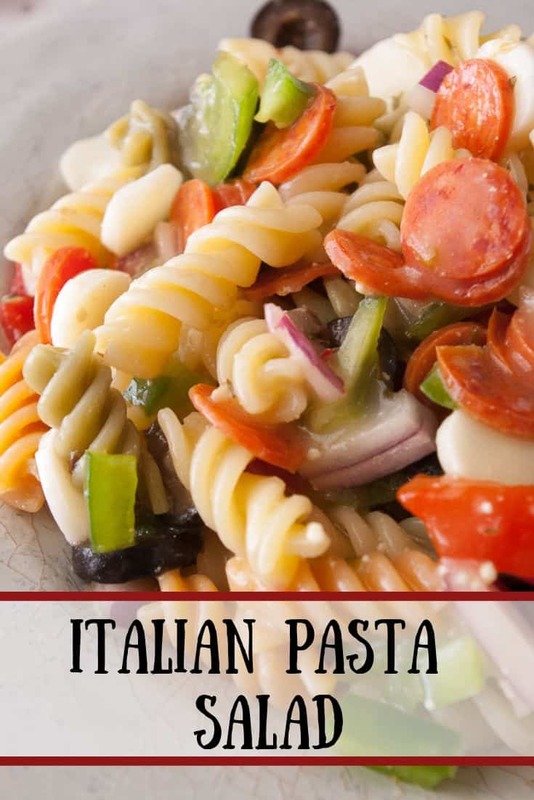 This pasta salad looks so delicious and so flavorful with all the yummy additions! The dressing looks amazing. I wish there was a big bowl of this waiting for me in the fridge!